KILAUEA POINT NATIONAL WILDLIFE REFUGE is a regular stop on the flight path of the largest colony of seabirds on the main Hawaiian Islands. Every day, hundreds of birds come and go from the nooks and crannies of the refuge’s cliffs and hillsides. Though eight species of birds nest on the refuge, the main attraction is a 100-YEAR-OLD LIGHTHOUSE. Located on the northernmost point of the inhabited Hawaiian Islands, the lighthouse was constructed out of necessity to serve as a landfall light for merchant ships sailing from Asia. Due to lack of good roads, materials needed to be lifted from cargo boats in the ocean and carried up steep cliffs in order to build the 52-foot tower. The lighthouse’s Fresnel lens alone weighs 4 tons, floats in a vat containing more than 250 pounds of liquid mercury and is composed of hundreds of reflecting prisms. It is valued at $1 million and remains a work of art. The lighthouse has been inoperable since 1976, but thanks to a major fundraising campaign, the structure has been fully restored to its former glory. The lighthouse celebrated its 100th anniversary in 2013, when it also received a new title. In a special ceremony, the lighthouse was formally renamed as the DANIEL K. INOUYE KILAUEA POINT LIGHTHOUSE in honor of the late U.S. senator, who died Dec. 17, 2012, and was a longtime supporter for conservation initiatives, including the wildlife refuge. The WILDLIFE REFUGE is one of the busiest refuges in the nation, currently ranking among the top five in annual visitation. Watch for the sign as you turn off Kuhio Highway into KILAUEA TOWN. Kilauea Point is at the end of the road. The refuge is open from 10 a.m. to 4 p.m. Tuesday through Saturday, and is closed on federal holidays. The entrance fee is $5 for adults (16 years+). 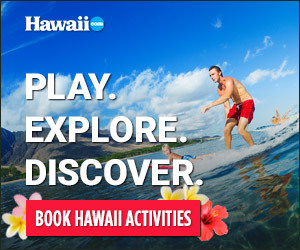 For more information, call (808) 828-0384, or visit www.kilaueapoint.org.